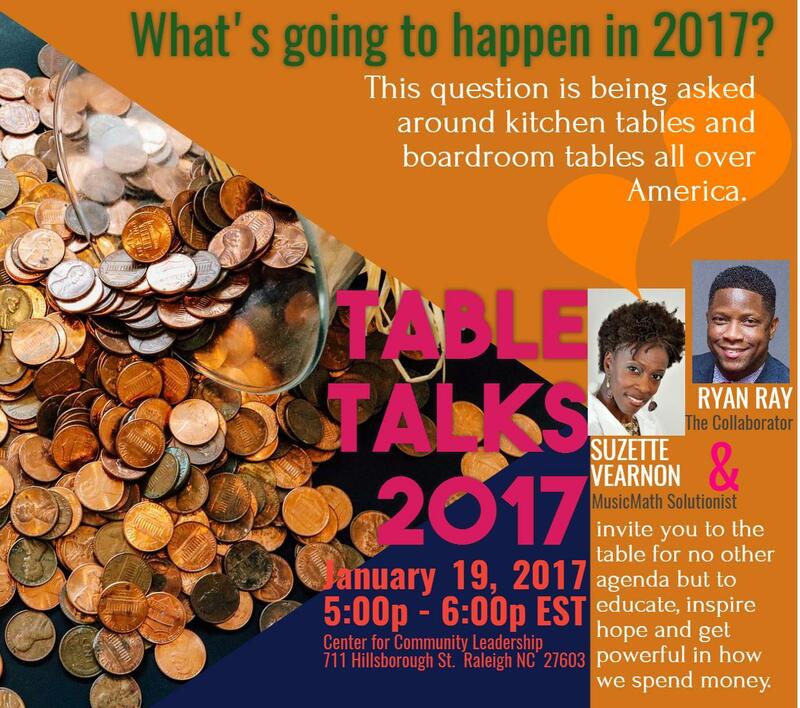 Table Talks is the brainchild of Suzette Vearnon and Ryan Ray, birthed as a solution to the anxiety many are feeling in this country about the economy. “What’s going to happen to us?,” is on the minds of families, independents and small business owners. Rather than speculate or focus on what’s wrong, we invite all to the table. We’ll be serving hope, education and in-powerment when it comes to our relationship with money.